Dr. Whiteman is putting leaders on track to successful careers. Healthcare administration is a challenging field which requires a leader to fine-tune skills that meet the rapidly changing landscape of the healthcare industry. In order to succeed, healthcare leaders must have a strong academic preparation in the nuances of the industry, coupled with learned leadership skills and high moral/ethical values. Personally, I am a strong supporter of the practitioner/academician model that has faculty in the classroom who hold proper credentials for teaching, along with practical experience in leading healthcare organizations. This allows the instructor to teach theory and support it with the practical application of the theory. In turn, this ties directly to the organization of my courses. I design my courses to teach students the breadth and depth of a topic and the practical application of the materials in a work setting. This philosophy is based on the need to provide students with a set of competencies/skills at the end of each course that can be taken back to the work setting, and the end of the degree all of the new competencies can be combined to be well-prepared for new career challenges. Based on years of experience, I find the two most important leadership skills are communication and critical thinking. Combining these skills with the ability to earn trust and respect from stakeholders puts evolving leaders into the best track for a successful and rewarding career. 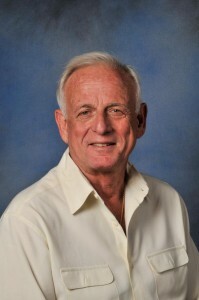 Dr. Alan S. Whiteman has over 45 years of expertise in the healthcare industry — 33 of these years in group practice management and consulting; seven years with third-party payers; and the balance as a healthcare entrepreneur. His educational credentials include a Ph.D. in Health Services, an MBA in Management and Marketing, and a BA in Health Facilities Management. He serves as an adjunct instructor for Bethel University, served as Associate Dean, Health Sciences & Program Director, MS Program in Health Services Administration and MPH in Public Health, Program Director for an online university’s MHA and Interim Director for their Ph.D. in Health Services, and as an adjunct professor for a state university. This entry was posted in News and Information on April 24, 2014 by bethelu.